TBT: Remember when the Patriots dynasty started against Steelers? We’re all eagerly awaiting Thursday night’s showdown between the defending Super Bowl champion New England Patriots and Pittsburgh Steelers to kick off the NFL season. But before we do that, let’s go back and look at a game the Patriots weren’t supposed to win — and a game that in essence started them on this historic run. Back in Jan. 2002, the Steelers (double-digit favorites by most accounts) hosted the Patriots in the AFC Championship Game at Heinz Field. The Kordell Stewart-led Steelers were supposed to walk all over the star-less Pats, led by some flash in the pan named Tom Brady. Well even after Brady injured his knee, the Steelers couldn’t stop Drew Bledsoe and the Patriots’ special teams and defense. 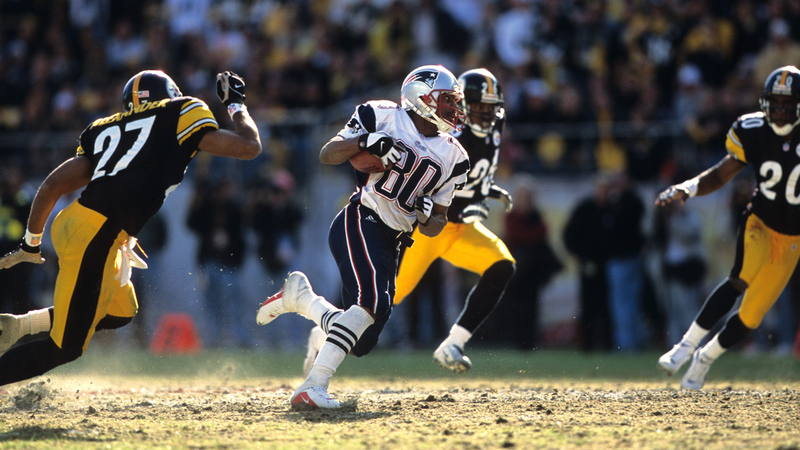 In the photo above, Troy Brown got the Pats on the board first with a 55-yard punt return for a touchdown. The Patriots added a Bledsoe touchdown pass, and a blocked field goal return for a touchdown, as well, and led the Steelers 21-3 en route to a 24-17 win. Of course, the next week the Pats upended the Rams and the dynasty was born.